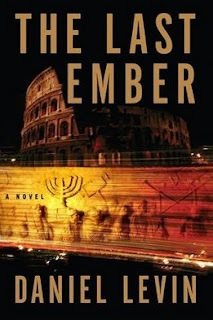 The Last Ember, which I affectionately refer to as the Jewish Da Vinci Code, is by far one of my favorite books of 2009. New author Daniel Levin brilliantly combines his passion for archaeology with his knowledge of international law in this ancient thriller. My deep interest in archaeology, especially Israeli archaeology, initially led me to purchase the book, but the intricate plot had me hooked. Jonathan Marcus, a young American lawyer and former doctoral student in classics, becomes a sought-after commodity among antiquities dealers. But when he is summoned to Rome to examine a client's fragments of an ancient stone map, he stumbles across a startling secret. A woman's preserved corpse inside an ancient column and an illegal excavation beneath Jerusalem's Dome of the Rock lead Marcus to uncover one of the world's most ancient secrets. The discovery reveals not only an ancient intelligence operation to protect an artifact hidden for 2,000 years, but also a ruthless modern plot to destroy all trace of it by a mysterious radical bent on erasing all remnants of Jewish and Christian presence from the Temple Mount. Israel, ancient secrets, and historical revisionism - perfect for a day on the beach this winter break. My next visit to Israel and Rome will surely have me chasing this fictional story line. Will you be my tour guide, Daniel Levin? To follow Daniel Levin on Twitter, click here.